If you’re looking for a non-invasive, non-ablative way to get rid of unwanted hair and skin spots, you simply need to get intense — Intense Pulsed Light. Intense Pulsed Light (IPL) is offered by Dr. Lavey with different light wavelengths to treat different skin conditions. What is IPL and what does it work on? When used for rejuvenating the skin, the procedure is called photorejuvenation and requires a series of treatments for the desired results. IPL systems work on the same principles as lasers in that light energy is absorbed by particular target skin cells with color (chromophores). The light energy is converted to heat energy that damages cells in the targeted area. 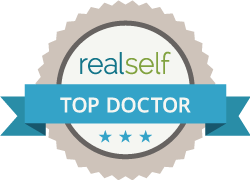 Dr. Lavey’s IPL system uses filters to refine the energy output for treatment of certain areas. This enables the targeting of specific chromophores. Red handpiece — Reduces unwanted brown or black hairs throughout the body. Usually an initial series of four to five treatments is recommended. Green handpiece — Reduces flushing and spider veins in the face, neck, and décolletage. Also removes brown spots across the body. Brown spots become darker for a week to 10 days before starting to go away. Yellow handpiece — Removes brown spots and reduces brown and black hairs. Because IPL penetrates deeper into the skin’s dermis layer, rather than treating the epidermis ablatively, the procedure is non-invasive and doesn’t require any recovery time. Results increase with time. Call Dr. Lavey and let’s put IPL to work for you. Make your appointment by calling 925-820-3633.